But we all need community to thrive. There is no ceiling to our professional growth, but we need each other to accomplish difficult work on our students’ behalf. We need to raise our voices, lift our pens, and reflect deeply on the problems and systems we confront daily in classrooms and schools. We need to revise our practices to meet learners’ needs. That is where the Western Pennsylvania Writing Project comes in. Many of the strongest, most innovative practitioners in the region trace their growth and development to WPWP. This week-long course, inspired by Paulo Freire’s “reading and writing the word and the world,” is for educators who want to co-create learning about what, how, and why we teach. We will explore concepts of trust-play-annotate-imagine-curate through reading, writing, moving, improvising, creating, noticing, reflecting, and being. Throughout the week, educators will have an opportunity to grapple with a core question of practice, be in dialogue with others to find new questions, and enrich our overall collective inquiries. 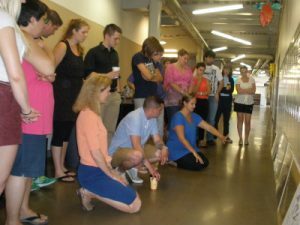 The course is for any educator who has been part of the Summer Institute for Teachers (including those registered for SIT 2019) and for other educators whose practice or aspirations align with the central tenants of the National Writing Project (www.nwp.org). This three-day summer institute is designed to provide WPWP teacher-consultants access to two related experiences. In the morning sessions the group will experience key components of an effective writing workshop—including ideas for helping students get topics, craft mini-lessons that can help students improve writing quality, and also a review of writing circles as a method for assisting peers to help peers reflect on their writing for revision. In the afternoon session the group will experience both engaging texts and reading response discussion techniques designed to help teacher consultants prepare to effectively facilitate a book study for educators—quite possibly in their home school or district. WPWP will provide books on site at the institute to help teachers “shop” for a book they might wish to utilize for a Book Club they would lead. 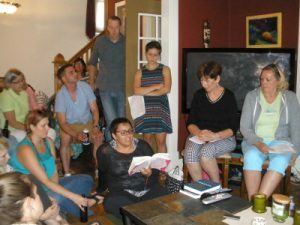 The choice of books to use is open, however, and WPWP will provide books for the book study teachers will lead back in their communities or districts, as long as cost is mutually agreed upon. We hope this institute will be inviting to new or recent teacher-consultants aiming to develop their practice and leadership. We want to thank the many young writers in the Pittsburgh region who submitted work to the 2019 Pittsburgh Regional Scholastic Writing Competition. We truly appreciate your work, as well as that of the many inspiring teachers who support youth writing. The over 400 submissions received this year reflect the vibrant breadth of youth writing in Allegheny County. This year, we are moving to a one-week, 9:30 am-3:30 pm model. We are making this change because quite a few students were asking to come for one week only, and transportation issues were a major factor. The program will take place during the week of July 15-19. NOTE: A Young Writers program for Grades 4-6 will be held at the Carnegie Museum of Art from 9:00 am-3:00 pm during the week of July 15-19, also. The program will be taught by WPWP teacher-consultants, in collaboration with CMOA staff. Students will write, make art, and reflect on works of art during this week. The cost will be $325. However, the program will be administered through the Carnegie Museum of Art, and no Pitt discount will be available. As soon as CMOA puts up the link and program description, we will share it here. Pine-Richland Young Writers Institutes will be held for grades 4-8 during the week of June 17-21, 9:00 am-3:00 pm. Please contact pryoungwritersinstitute@gmail.com for information regarding this location’s Institute. Writers of Westmoreland will offer Young Writers 2019, grades 4-12, July 15-19, 9:00 am-3:30 pm at West Hempfield Elementary School, 469 Wendel Road, Irwin, PA 15642. The cost is $335.